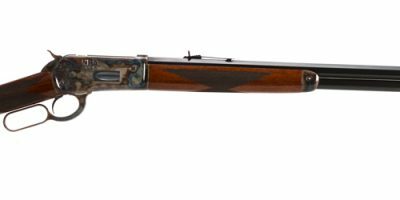 This is a Winchester 1873 that has been re barreled. It originally had a 28” octagon barrel, but now has a 20” round barrel. 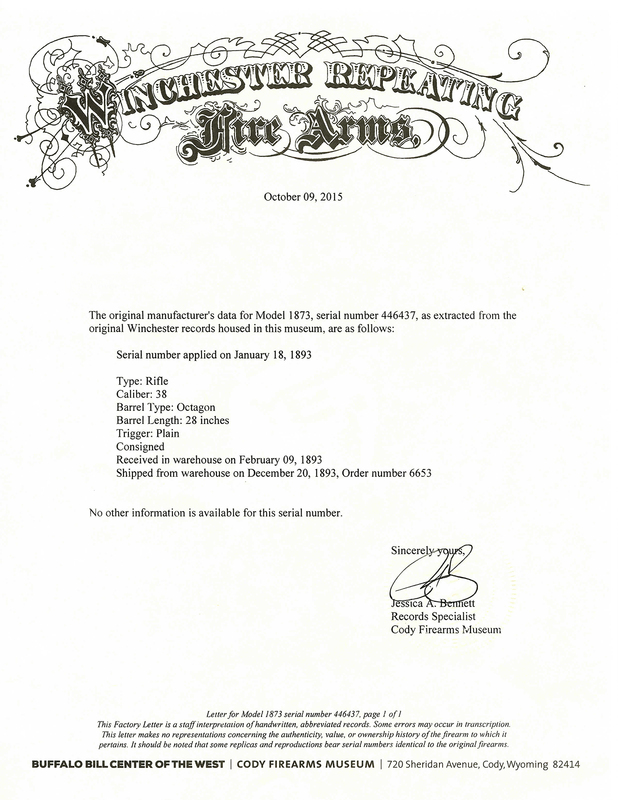 The rifle is a .38 caliber that was originally built in 1893. 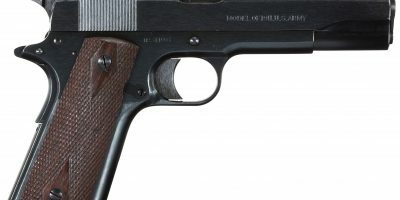 The bore is in good condition and the overall condition of the gun is good as well. 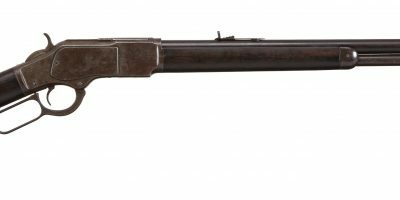 This Winchester 1873 is a great shooter and a fun piece of American history.